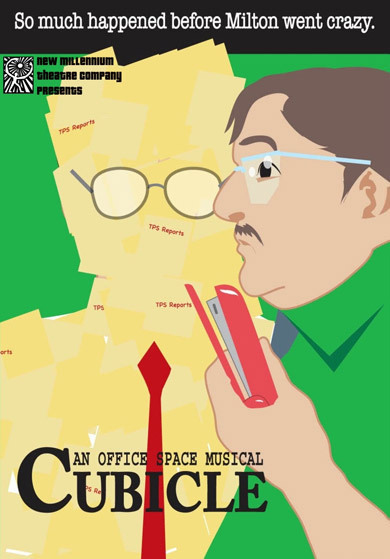 NMTC PopSpot: CUBICLE RETURNS IN THE SPRING! New Millennium Theatre Company is a Chicago based arts organization producing cutting edge, pop-culture based theatrical events. This is our blog. Expect nonsensical ramblings about everything from Adam West to Ziggy Stardust and plugs for our shows and all around commentary on the state of Pop Culture. CUBICLE RETURNS IN THE SPRING! Your blog explaining all the main points very awesomely. I searched many blog but your blog is one of nice in many blogs. Thanks for share this information with us.